My Family Member has Died. Do I Need to Open Probate and When? 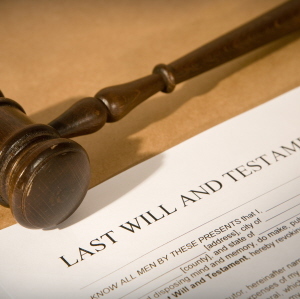 Probate is required in most cases where there is a Will in order to verify that the Will settles all of the deceased person’s affairs. Most states have laws which require Probate to be opened in cases where the deceased person’s assets amount to more than $20,000, or if the deceased person’s assets include real estate. You must typically file the deceased person’s Will with the Court within 30 days after his/her death with a request to initiate Probate or Administration. If there is no Will, a simpler procedure called “Administration” will generally be used to settle the estate. For additional information contact a Nevada estate lawyer in Reno or Las Vegas. What do I do if There is no Real Estate Involved? If the estate is worth less than the minimum amount for your state and there is no real property involved, AND if you are named as a beneficiary to the estate, you may initiate proceedings to inherit the estate. You may execute an “Affidavit of Survivorship” to request the assets be released to you. If the assets include monies in a bank account, you will only be allowed to withdraw those funds if you are named as a joint owner to the account. If you are not named on the account, the funds are probably held “in trust for” a beneficiary and that beneficiary to the account may usually obtain the funds upon providing the bank with a certified copy of the death certificate and proof that he or she is named as the beneficiary. 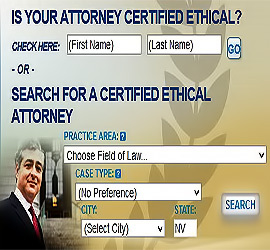 For additional information contact a Nevada estate lawyer in Reno or Las Vegas. If Probate is Necessary, How Long Will the Proceedings Take? Usually, Probate or Administration will take at least four to six months, and will generally require that you hire a Nevada estate lawyer in Reno or Las Vegas, but it could take much longer if any complications arise. When Should I Contact an Attorney to Assist Me? While not required, it is recommended that you contact a Nevada estate lawyer in Reno or Las Vegas familiar with wills and estates to help you through the complicated Administration or Probate process. This is especially important if the deceased person’s estate includes real estate, unpaid debts or if you are named Executor of an Estate with several beneficiaries or if you are Executor of an estate which is located in another state. A Nevada estate lawyer in Reno or Las Vegas with a primary practice area of Probate can usually also help you with the numerous tax issues involved in Probate or Administration of an estate, or can refer you to a tax attorney for these issues. Where can I find a Estate Lawyer Reno or Las Vegas? Go to www.AttorneyGuide.com or click “Find an Attorney” in the navigation bar at the top of this page. Choose your city and state, then select Estate Planning law and the type of case that best matches your situation.